Avid buyers of Apple products we’re excited for the information released about 2017’s new iPhone. 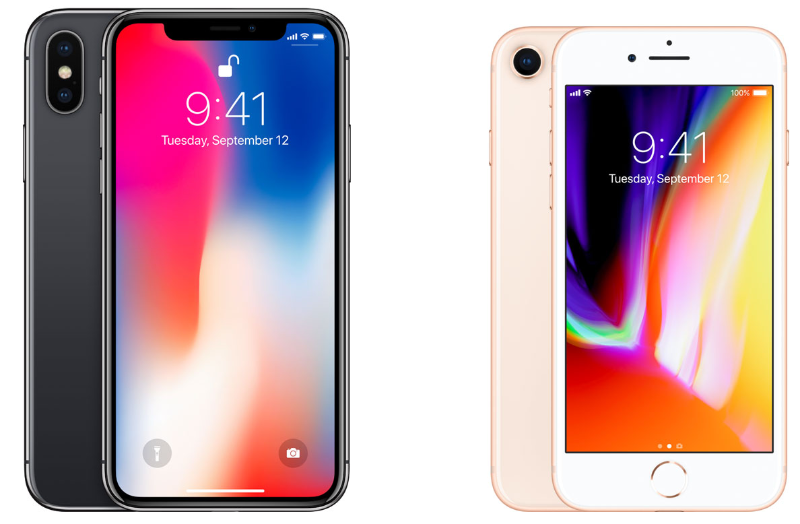 The biggest surprise was, being this was the 10th anniversary of iPhone generations, Apple created an “iPhone X,” along with iPhone 8 and 8 Plus. iPhone 8 and 8 plus is already available for as low at $699. The iPhone 8 continues the 7 series features including the new jack for headphone and the jack adapter. The overall design is still the same as previous generations, including the touch ID home button and the bezel surrounding the frame..
is the entirely glass body enclosed in an aluminum frame, and the glass is said to be most durable glass yet as it’s placed in an aluminum structure and reinforced steel that’s water and dust resistant. 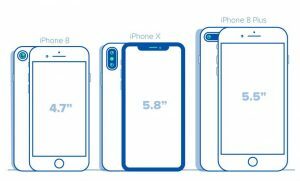 The speakers of the iPhone 8 is about 25 % louder than previous generations including the 7, with a deeper bass. 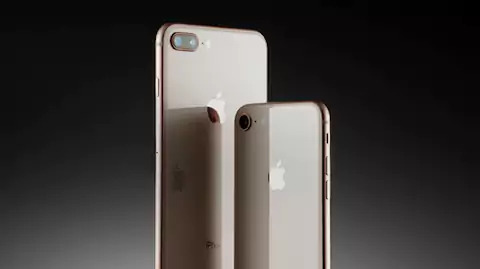 The iPhone 8 display is about 1 inch smaller than the iPhone 8 Plus, both equipped with True Tone Support, the feature that allows adaptation to color temperature and intensity to ambient light. Basically, say you step outside your dark room to a brightly lit room, the iPhone 8 and 8 plus will adapt the screen to an intensity better adjusted for your eyes. It’s like a paper-viewing experience, as described. 3D touch is the newest feature, and there are wide varieties of color to be chosen. 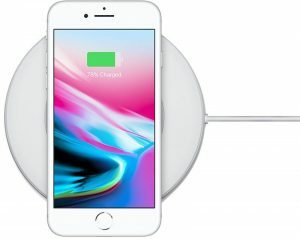 There is a new charging feature, a Qi-based inductive wireless charging, allowing charging to take place when the phones are placed atop this charging station. Very high-tech for modern day technology, but certainly an interesting one at best. The new six-core Bionic chip apparently makes this the smartest and fastest iPhone yet. It makes the experience of gaming and using this iPhone closer to reality. This iPhone is fastest, smartest, and even a “faster learner” than all iPhones. The new camera is sharpest in quality, while the A11 brings forth better low-light quality images, faster autofocus, new pixel-processing technologies, and even catches less “noise” in images captured. These are only some of the camera qualities the iPhone 8 and 8 plus has to offer! True Tone is available on each phone, which is easily described as a lighting detector that will automatically alter the lighting on your phone to best suit your eyes and to meet a standard of a natural viewing experience. How To Choose? Deciding to go with an iPhone 8 or 8 plus? Pick from Silver, Space Grey, or a Rosie-gold. The moment we’ve all been waiting for. The 10th generation of iPhone called for an entirely new experience, which is where the iPhone X came from. This smartphone is an “all-display” featured phone, designed unlike the iPhone as we know it. It’s 5.8 inches of screen is wrapped into a stainless steel band and a durable all-glass body (like the iPhone 8 and 8 plus, without the bezels). This super-retina technology utilizes a life-life experience of color on this phone also features deep black and million-to-one contrast, including the highest resolution and pixel density ever in iPhone history. This amazing technological advancement also includes HDR, wide color, 3D Touch, and True Tone. Rather than a home button, users swipe to open or access “home.” You can “tap to wake” meaning access your notifications, a side button for Siri, and swiping down opens your control center. efficiency cores, multi-thread work, GPU (image processor, A11 motion coprocessor, and the Secure Enclave for Face ID. What’s more is this battery lasts approximately two hours longer than iPhone 7. Face recognition is the newest and probably most interesting part of iPhone X. Instead of typing in a password, the phone recognizes your face by creating a 3D image with the front-face camera. This feature also allows you to make purchases and access personal apps. This can read through hats, makeup, beards, and more, but will only open if you’re actually looking at the screen. It doesn’t unlock if you’re looking away or if it’s looking at a photograph or other replicas. In other words, the iPhone X is quite aware of who is and isn’t its owner. Every smartphone user loves Emoticons, but now there are Animoji for the iPhone X. This 3D emoji mimics your facial expression, literally translating your facial expressions into a Animoji for iMessage! Portrait lighting creates the best lighting ever whether it’s in selfie mode or regular camera mode! The back camera also includes optical image stabilization, better augmented reality experience, and a TrueDepth camera. The iPhone X starts at $999 and comes either with 64 or 256GB of storage. Although this is not yet available, it will be sold by the end of October! You can purchase this phone in Silver or Space Gray. Not many of us have this money lying around, but if you trade in your old iPhone 6 or iPhone 7 to SellMyMac, it will give you some extra cash to put toward your new iPhone 8, 8 plus, or X! If you have an iMac, iPad, or MacBook Pro, sell it to SellMyMac for faster access to your new iPhone! 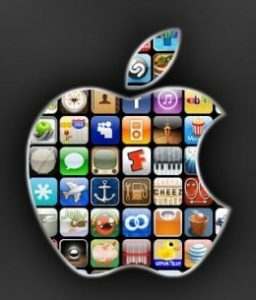 If you want to know more about the newest generations of iPhones or how to sell your old phone, stay tuned with SellMyMac or call 212-840-0415. We look forward to helping you sell your Apple products and get one step closer to your new one! Selling products online is overwhelming at first. In this age, we have so many options and questions, and there are many online sources looking to buy your products but it is hard to choose who is worth the time. Following these steps can make this process easier. Look for Fair Pricing: Whether you’re sending something one year old or five years old, you should receive fair value for what it’s truly worth. Some online buying sources will try to give you less money. SellMyMac tries to give you its true valued price. Having Good Customer Support: With all the new high-tech companies and ever-changing devices, having someone to talk to really helps the selling process. A company will easy-to-reach customer service is beneficial for anyone looking to sell a product. When they’re kind it is even better, no one likes talking to a frustrated and rushed customer support. At SellMyMac, we are here to help. Free Instant Quotes: Don’t ever pay for something without knowing how much you’ll get in return. In fact if you’re selling something, you shouldn’t be paying anything! Privacy and Satisfaction: Privacy is key, especially in this world where we all believe it’s too easy to gain access to each other’s information. Do your research on companies before making a deal with them, giving them your bank account info., or anything similar to this. Check the reviews and satisfaction of your company. 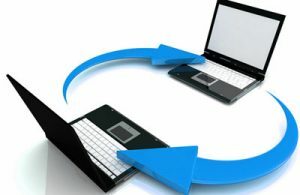 SellMyMac protects your privacy and ensures customer satisfaction throughout this whole buying/selling process. For more information about how SellMyMac can help you sell your product, click here or call 212.840.0415 with any and all questions! We look forward to helping you. In a week from today (September 12th) Apple will hold their special event where details about new products will be released. 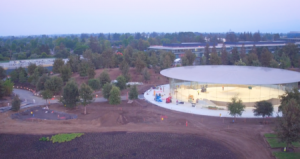 For the first time, this launching event will be held in the Steve Job’s Theater at the new Apple Park campus in Cupertino, California. How exciting! As with all their other products, the hype for this new release is real. Will something special occur for the 10 year anniversary of the iPhone? What will it be called? Is facial recognition really their new unlock code? Perhaps! More rumors include that this iPhone may be designed unlike any of the other generations of iPhones we know and love so much. Rumors entail this new phone will cost about $1,000, however only time will tell. This summer, Apple revealed they were working on a 3D camera, facial recognition as a way to unlock phones, and an AI chip to make the phone even more computer-like. With all these new features and rumors, many are excited to invest in their new phone. Although the price seems high, it is still likely to be the best iPhone yet. There may also be a new Apple watch and a new Apple TV box. This summer promised the release of the HomePod which will also be explained in greater detail at the Sept. 12th announcement. So if you’re already considering a new iPhone, watch, tv, or if you’re just interested in what the HomePod is, stay tuned with SellMyMac or be sure to watch the event. Preparing for your new phone? If the iPhone is sold at $1,000, many wonder how they’ll be able to afford it. A wonderful option would be to sell any old, unused Apple products. At SellMyMac, we offer the highest valuable price for all of Apple’s products, new and old, used and abused or in mint condition. The money received for this product could go toward your next Apple investment. So why wait? If you know you’re going to buy something Apple related, get selling! We have a very simple product selling and shipping process. Contact us with any questions and stay tuned for more news about Apple’s latest products!